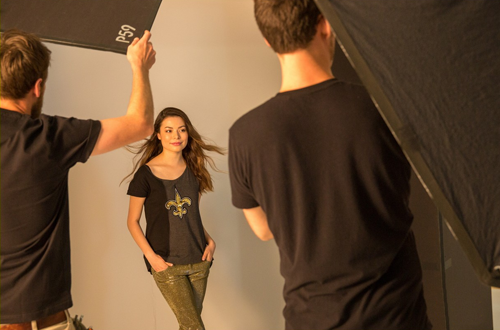 Miranda Cosgrove Is Returning To TV In A New NBC Comedy Show! 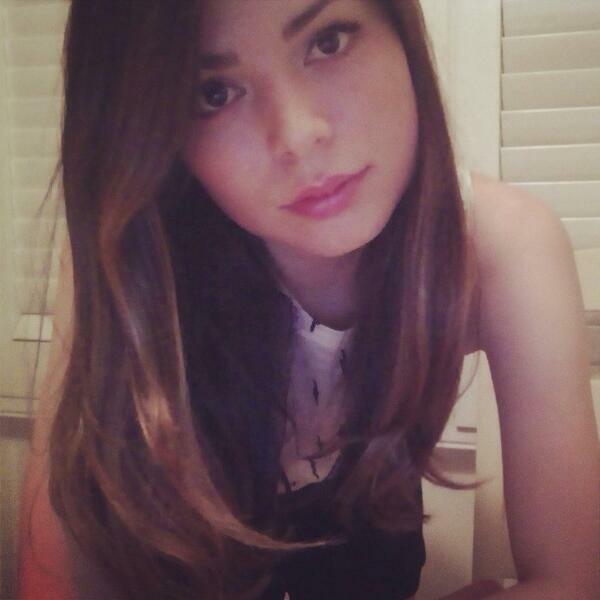 Singer and former star of ‘I Carly‘ Miranda Cosgrove will be returning to a television near you! She has signed with NBC for a Comedy Show! It’s certainly happiness to know we’ll get to see Miranda back on the telly! Can’t to see the ‘I, Carly’ star’s return most definitely! What do you think of Miranda’s TV return? Miranda Cosgrove Spotted At LAX Airport – Pics Here! Miranda Cosgrove was spotted at LAX airport in Los Angeles, California on October 14th. Miranda a casual cute tee shirt and jeans with a warm fall jacket. She took time to talk to fans and snap photos with a smile. We hope she had a nice flight! Miranda Cosgove & Jennette Mccurdy Attend Katy Perry’s LA Show! Miranda Cosgrove was all smiles as she attended Katy Perry’s Los Angeles, California concert on September 19th at the world famous Staples Center. Miranda looked fashionable in her with funny sweater and pleather skirt with a matching black purse and boots. 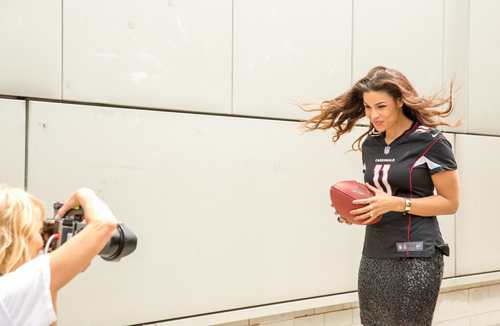 Miranda walked hand in hand with her friends around the Staples Center area, and even took time to snap photos with fans whom she came across. Actress Jennette McCurdy also hung out with her gal pal Miranda at the show that night. Jennette was back in black and rocked her dark jeans and mesh shirt in style. Check out more pretty photos of Miranda and Jennette’s girls night out at Katy’s show below! 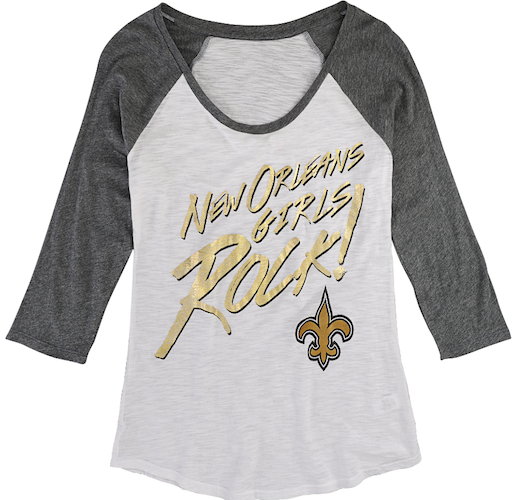 China Anne McClain, Miranda Cosgrove, & More Rock New NFL Clothing Line! 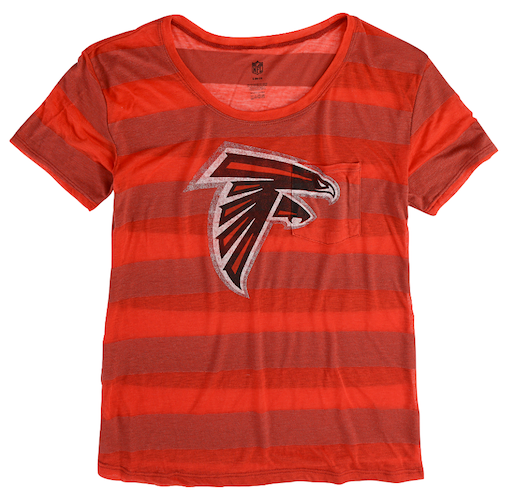 China Anne McClain is the new face of NFL’s Tween Clothing Line (Congrats China!!) 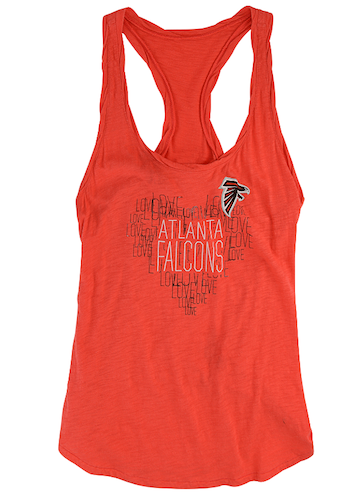 which now let’s your rock your favorite sports team will still adding some of your own personal style. 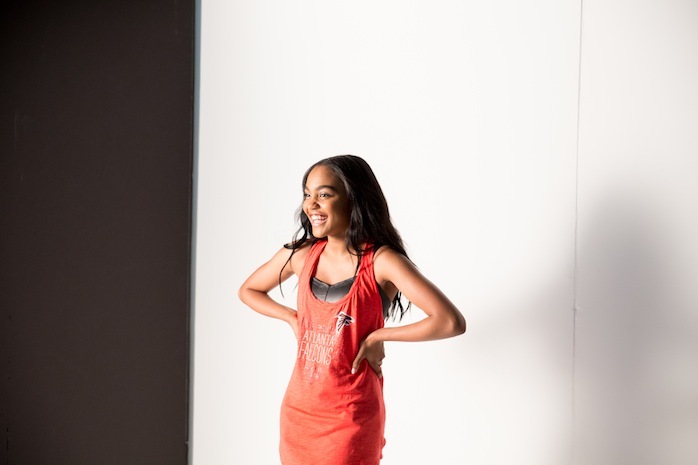 Stars including China Anne McClain, Miranda Cosgrove, Jordin Sparks, model Erin Heatherton and Jessica Szohr have teamed up to bring you some awesome photos in the new lines for both tweens and women. Check out their behind the scenes photos, official shots, as well as a few item examples that are now available, below! Famous singer and actress Miranda Cosgrove is celebrating a very special day today. Today is her birthday and she’s now 21-years-old. 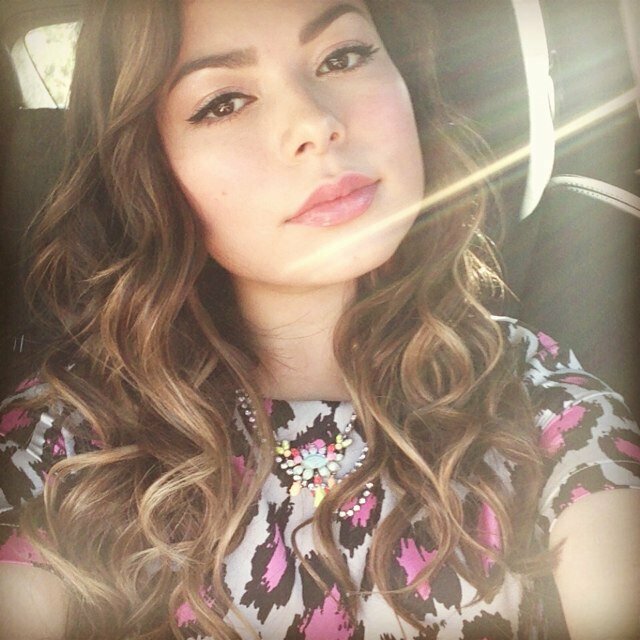 Happy birthday to you, Miranda, from all of us here at TeenInfonet! Miranda Cosgrove Reunites With Two Former TV Bros At Drake Bell’s Album Release Party — See The Pics! It was a Drake & Josh reunion at Drake Bell’s release party for his new album Ready, Steady, Go! on Thursday night (April 17) — Miranda Cosgrove hit the press line at Mixology 101 in Los Angeles, CA to support Drake with their former TV brother Josh Peck! Miranda was looking fabulous in a white blouse, black pleated skirt, and black peep-toe Louboutin pumps alongside Drake, in a royal blue suit, black-and-white patterned shirt, and flashy shoes, and Josh, who kept it more casual in a grey v-neck under a leather jacket with jeans and gray kicks. Check out the pics of Miranda’s look and the cute pics of the Nick kid reunion in the gallery below now — and be sure to pick up Drake’s album when it drops on Tuesday, April 22! Miranda Cosgrove Helps Open ‘Despicable Me’ Minion Mayhem Ride At Universal — See The Cute Pics! Miranda Cosgrove, who voiced the character Margo in both Despicable Me films, was on hand to help open the film’s New 3D Ultra HD digital Animation Adventure ‘Minion Mayhem’ ride at Universal Studios Hollywood in Universal City, CA on Friday (April 11)! She wasn’t the only star of the film there, either – she posed with Gru, Margo, Edith, and Agnes on the custom Minion-yellow carpet – and later joined Mario Lopez on stage, too, for the official of Universal’s newest attraction. Miranda was looking fresh and flirty in a white knit top with half-sleeves and abstract-print shorts with woven platform wedge sandals — super cute! Have you ever looked at the ocean and saw the beauty of it? How about the animals that live within those waters? Those animals that live in our oceans can either be harmless or threatening, but some of those animals are actually being harmed by humans. One of those animals is the Atlantic dolphin and Miranda Cosgrove has stepped up in wishing to help them. 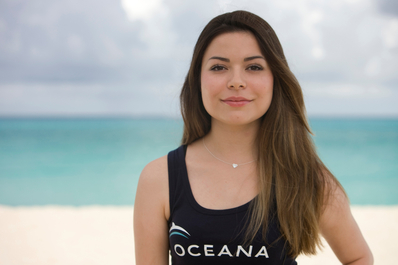 In Bimini, Bahamas, Miranda joined up with Oceana, an organization focused on ocean conservation, to film a new Public Service Announcement (PSA). The focus of the PSA is about how seismic airguns can easily harm the dolphins. The seismic airguns, which are blasts of compressed air, are used for mapping oil and gas deposits under the seafloor. However, they drown out sound which is used by dolphins to find food and communicate with others causing injury or even death. Check out the PSA below starring Miranda Cosgrove, with an extended version included with more information. Also, make sure you check out the beautiful picture slideshow of Miranda and her new friends, the dolphins at the end of your viewing! Let us know how you feel about all this in the comments! They sure do seem like the good old days indeed. 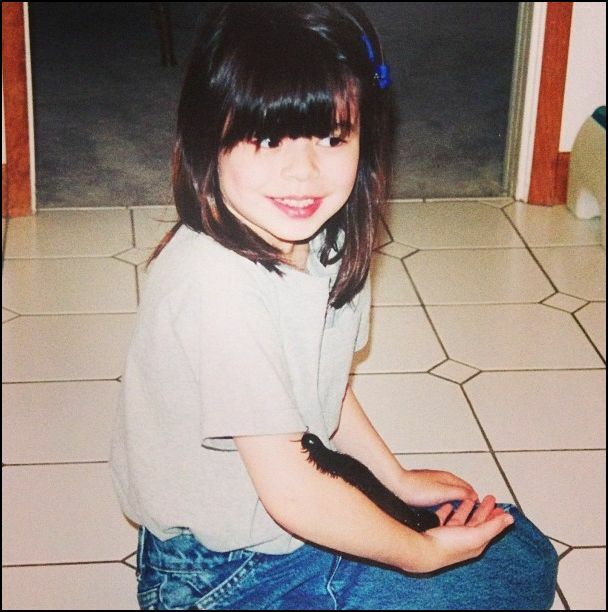 Check out more photos below of Miranda from her childhood and some of her now! Let us know what you think by commenting! Miranda Cosgrove appeared on the Today Show earlier this week. The Despicable Me star and the iCarly star talked about her role as the voice of Margo in the Despicable Me movie. She also revealed some other interesting facts about herself and what she is doing! She was even able to get 6 million followers on Twitter! 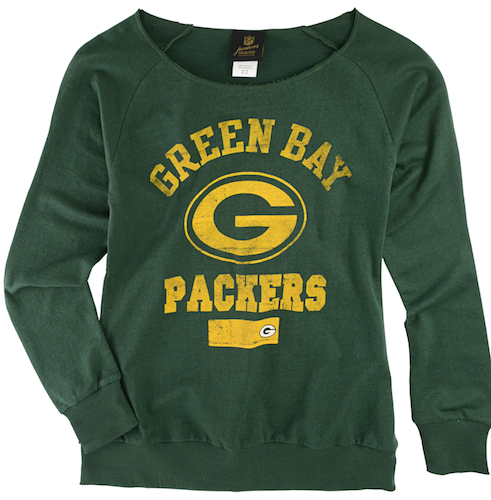 Check out what Miranda had to say clicking here! Here is another interview that Miranda had where she also revealed some stuff about herself!